Café du Cycliste are offering cyclists a chance to refresh their wardrobe at bargain prices, with a sample sale in their London store during February. 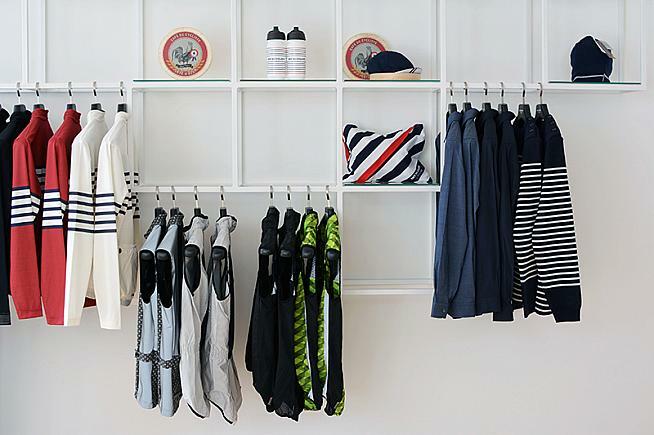 Grab a bargain on some French style at the Cafe du Cycliste sample sale. The shop is open next week from Thursday to Sunday, 11am - 7pm. And, unlike a typical south of France shop, it doesn't close for a 2-hour lunch break either! For a taste of what to expect (spoiler alert: stripes) check out the AW18 collection currently in store and online at www.cafeducycliste.com. You can also bag a healthy 20% discount across the website simply by filling out their 2019 customer survey: you'll find the link here.